Alzheimer's disease (AD), the common form of dementia in the elderly. Without a cure, 1 in 85 people on the planet will be affected by AD by 2050. I am keen to understand the functions of these genes in specific brain cell types during AD pathogenesis in the context of neurovascular and neuroimmune interactions since vascular dysfunction and immune dysregulation represent two major contributors in AD. 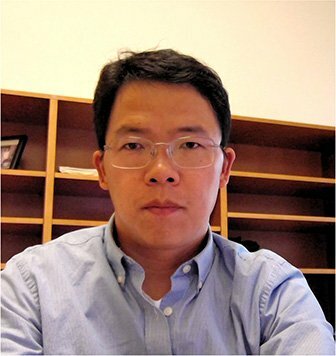 My research objectives are to explore the genetic, molecular and cellular mechanisms of neurodegeneration in AD, understand the crosstalk between the components of the neurovascular unit, and discover new approaches to restore the neurovascular and neuroimmune functions for the treatment of AD and other neurodegenerative diseases. My laboratory utilizes cutting-edge molecular and genetic approaches to study rare variants and mutations associated with AD risk genes. We aim to generate novel transgenic models targeting these genes in specific brain cell populations, build human 3D-models of the neurovascular unit based on induced pluripotent stem cells (iPSCs) and CRISPR/Cas9-mediated genomic editing technologies, and develop new therapeutic approaches for delivering drugs over the blood-brain barrier. i) Modeling new AD risk genes: Receptor-mediated transcytosis (RMT) provides a secret passage inside the BBB, allowing a limited exchange of macromolecules between brain interstitial fluids and circulating blood. However, the molecular machinery that drives the cargos through multiple cellular events is poorly defined. Working with an AD risk gene PICALM (phosphatidylinositol binding clathrin assembly protein), we found that PICALM is highly expressed at the BBB and governs RMT transcytosis across the BBB by facilitating the clathrin-mediated endocytosis and guiding intracellular trafficking of cargos through Rab5+ early endosome and Rab11+ sorting endosome. As a key player of the clathrin-mediated endocytosis and intracellular trafficking, PICALM critically regulates Aβ brain metabolism and clearance through the BBB. Recently, we created new murine conditional knockout models with PICALM deletion from either endothelium, neurons or microglia, dissected PICALM?s interaction networks using co-immunoprecipitation and yeast-two hybrid methods, and generated isogenic iPSCs lines carrying various AD-associated rare variants and mutations. In addition, when studying the RMT machinery, we have identified new integral components, such as FAM64A that dynamically interacts with PICALM and is required for transcytosis at the BBB. Therefore, we expect to generate unique new insights not only into PICALM biology that will improve our understanding of AD pathogenesis but also for developing pharmacological approaches and AAV-mediated gene delivery of PICALM or FAM64A for the potential treatment of AD. ii) The crosstalk within the neurovascular unit: Structural and functional brain connectivity, synaptic activity and information processing require highly coordinated signal transduction between different cell types within the neurovascular unit (NVU). The cells of the NVU are not just adjacently located and structurally connected; they communicated with each other vigorously via different signaling modules in order to function in orchestration. Pericytes are vascular mural cells embedded in the basement membrane and extending their processes along the walls of brain capillaries. They are critical for BBB formation and maintenance. Pericyte injury and/or loss occur in human inherited diseases such as idiopathic basal ganglia calcification and Kosaki overgrowth syndrome, and multifactorial CNS degenerative diseases including stroke and dementia. Interestingly, pericytes also produce growth factors such as IGF2 that stimulate neurogenesis and express innate immune effector genes such as interferon-stimulated gene IFITM1 that can be induced during CNS infection. However, whether pericytes contribute to neurovascular and/or neuroimmune interactions in CNS health and diseases through unique signaling, whether its dysfunction directly impacts neuronal health remain underexplored. Recently we have developed a novel transgenic mouse model with inducible pericyte ablation and found that pericyte ablation resulted in abnormal neuronal patterning. We are currently examining IGF2-mediated paracrine communication for neurovascular interaction, and IFITM1-dependent neurovascular crosstalk during CNS infection. Mailing Address 1501 San Pablo St.